“The Mirabell Project” is shaped by young musicians from all over the world, who converged in Salzburg, Austria, where they live, work and pursue their musical education at the renowned Mozarteum University. 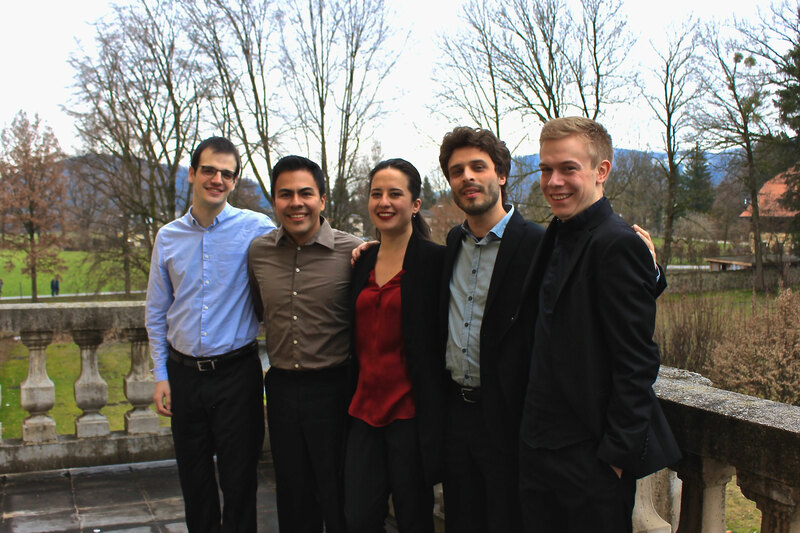 The fascination, passion and desire of sharing the music and their knowledge with new audiences and young students is what connects the five musicians of The Mirabell Project. Their main goal is creating new musical ties and spaces, especially in developing countries. The musicians benefit from broad international musical experiences, being members of both modern and historic ensembles and orchestras with which they are regularly performing in all parts of the world. They stand out as soloists and chamber musicians. Alfia Bakieva was born in 1986 in Novosibirsk, Russia. She is a multi-instrumentalist, especially in the folk-music section, playing violin, folk violin, kylkobiz, ghizzhak and other similar instruments. Furthermore, she is a founding member of the folk music ensemble “Ekiyat”, which has put its main focus on Tatar folk traditions. She studied violin with E. Baskina at the Novosibirsk Specialized Music School and baroque violin with Enrico Onofri at the Vincenzo Bellini Conservatory in Palermo. Since 2016 she is studying with Hiro Kurosaki at the Mozarteum University in Salzburg. Shostakovich received at the VII international competition of D. Shostakovich quartets. From 2004 - 2008 she was assistant concertmaster of the "Musica Aeterna” orchestra of the Novosibirsk State Academic Opera and Ballet Theatre with Teodor Currentzis. 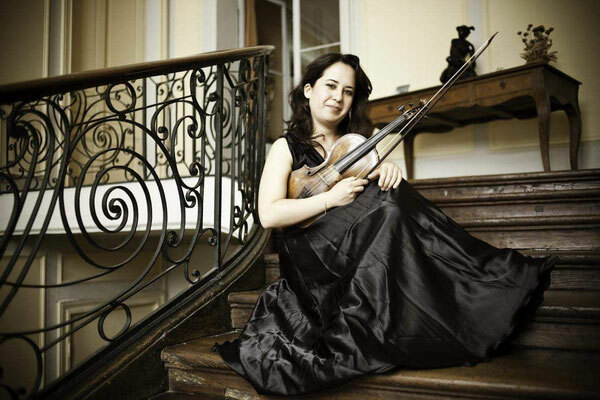 She is currently engaged as concertmaster and soloist with various baroque groups like "Il Pomo d'Oro", "Zefiro","Bach Stuttgart Akademie" and "Hemiolia". In 2014 she was decorated with the medal from the President of Republic of Italy at the XIX B. Albanese national competition of young musicians in Caccamo (Italy). In 2017 she is a finalist of prestigious baroque competition "Ancient Music Competition Brugge". He started to study the Tiple with Gilberto Bedoya Hoyos and the violin with Iryna Litvin at the age of 10. With the tiple he won various important competitions in Colombia, e.g. at the age of 13 in the category “adult” the „Campeón Nacional del Tiple“ and „Campeón Nacional del Requinto”. He has recorded two CDs in the past years. 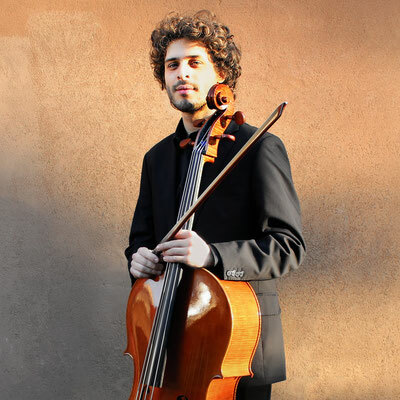 Jonathan Ponet (*1993) is a Belgian violist currently finishing his master’s degree at the Mozarteum University in Salzburg under the tutelage of Prof. Thomas Riebl. In Belgium he studied violin with Lei Wang at the high school of Arts at the Lemmens Institute in Leuven where he graduated with great distinction. 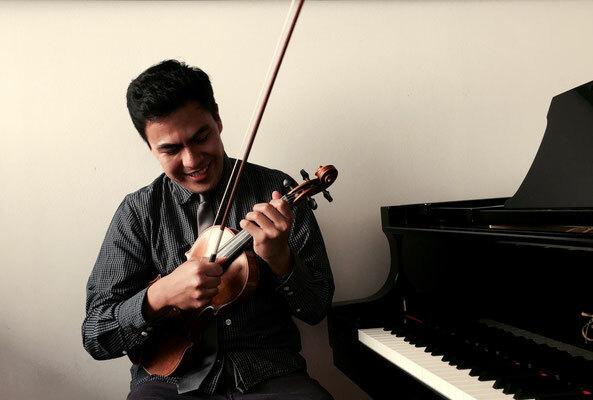 After studying several years with Tony Nys at the Royal Conservatory in Brussels he moved to Salzburg to continue and finish his bachelor’s degree with highest distinction at the Mozarteum University in the class of Prof. Thomas Riebl. He is a scholar of the International Music Academy in the Principality of Liechtenstein and in 2011 received a 2nd price in the ‘Dexia Classics’ competition for young Belgian musicians. Jonathan attended masterclasses with Liviu Prunaru, Diemut Poppen, Thomas Riebl, Barbara Westphal, Jean Sulem and members of the Danel Quartet. He is also a founding member of the Adelphi Quartet. Jonathan gained orchestra experience under the baton of conductors such as Arturo Tamayo, Vittorio Ghielmi, Heinrich Schiff and Heinz Holliger. 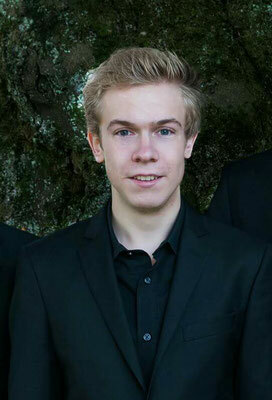 Since September 2013 he is a member of YES Camerata (Young European Strings). In his young career he has already been performing all over the world. With concerts in Canada, Japan, China and Europe. Giulio Padoin was born in 1988 in Montebelluna, Italy. He studied with Walter Vestidello at the “A. Steffani” Conservatory in Castelfranco Veneto (Italy). He specializes in Early Music and also attended the “Master in Early Music Performance” at the Mozarteum University in Salzburg (Austria) with Marco Testori. He participated in various baroque cello courses e.g. with Walter Vestidello, Catherine Jones, Stefano Veggetti and Stanley Ritchie. He is founding member of the “Contrarco Baroque Ensemble” and a member of various other orchestras and ensembles with which he performs regularly internationally. Besides his classical cello studies, he also studied jazz harmony and improvisation with Saverio Tasca. Since 2014 he plays with the quintet “Saverio Tasca & AlterArco”, a marimba and string quartet with which they have recently recorded the CD "L'uomo che cammina" with the label Velut Luna. Born in 1991 in Burgos, Spain, Carlos has been an active concert artist since his first recitals and concerts with orchestra in 2002. His concert schedule has taken him to many important theatres and festivals in Spain and abroad where he was playing as a soloist with the Moscow State Symphony Orchestra, Symphony Orchestra of Castile and Leon, Bilbao Symphony Orchestra (BOS), and others under the baton of Dmitri Orlov, Alejandro Posada, Gérard Caussé, Ana Uriarte and Pablo Mielgo. assistant for the Institute for Mozart Interpretation and finishing a Master's degree in Fortepiano with Professor Wolfgang Brunner. 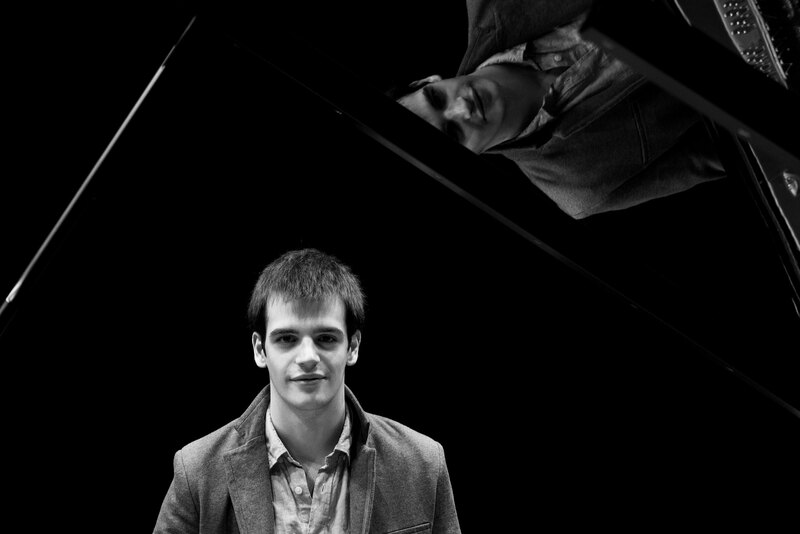 He is regularly invited to give piano master classes at the Bilbao Conservatory of Music. His professional recordings have been broadcasted live on radio and television. During the last year he has released two albums. He is a winner of the First Prize, Audience Prize and Prize for the Best Spanish Pianist at the last Frechilla-Zuloaga International Piano Competition in 2013 and has been awarded numerous prizes in piano competitions like the Steinway competition, Ciudad de Albacete, Infanta Cristina, Ciudad de Linares, etc. The townhall of Getxo (his hometown) has given him the “Aixe Getxo!” award in recognition to his career.